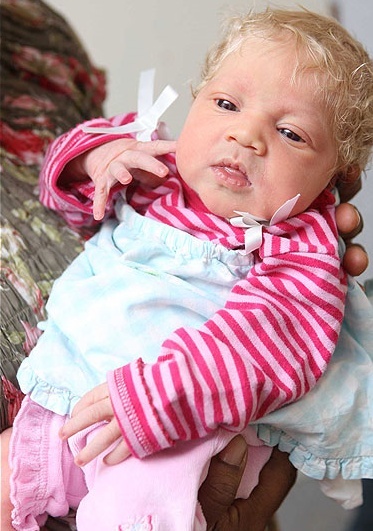 In an interesting display of genetics at work, a black couple from South London gave birth to a baby girl that looks nearly nothing like them. The blonde haired, blue eyed, light skin baby is an anomaly that is baffling genetics experts. 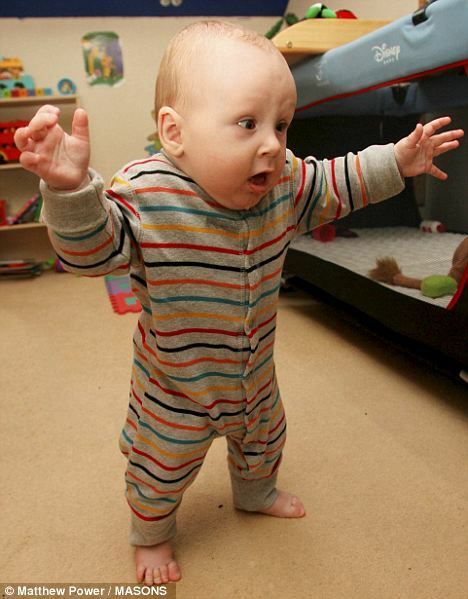 Parents Ben and Angela Ihegboro were shocked to see their new baby look so different from them and their previous children. 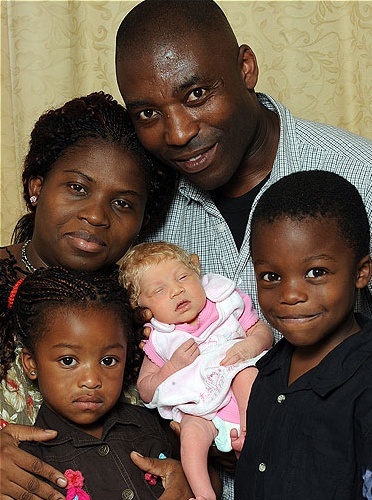 The couple has no mixed race nor pale skinned family that could explain the baby. Though the couple knows the baby is theirs, they are still confused by the occurrence. The couple named the baby girl Nmachi, whose name means “Beauty of God” in the couple’s Nigerian homeland. Doctors are certain that the baby girl is not an albino. Professor Bryan Sykes, head of Human Genetics at Oxford University, says her birth is extraordinary on a genetic level. With no white ancestry to cause the occurrence, chances are that an unknown genetic mutation took place. “In mixed race humans, the lighter variant of skin tone may come out in a child – and this can sometimes be startlingly different to the skin of the parents. The couple and their older children are getting used to the odd appearance of their new daughter. Though they are curious as to how the girl’s skin, eye, and hair color happened, they are not letting the physical characteristics get in the way. Of course, we are baffled too and want to know what’s happened. But we understand life is very strange. They have beautiful children, no matter the differences in skin color. “No white ancestry?” Aren’t we all just one race, coming from one couple? The way I understand it, there is no black or white- just varying shades of brown (melanin). I thought that too. But there is more than that.